Regarding Sylvia Browne & Co.
After the happy news that three women missing for about a decade were found alive in Ohio, many noted that ‘psychic’ Sylvia Browne had told Amanda Berry’s mother that her daughter was dead. Tragically, Amanda’s mother died falsely believing this to be so. There isn’t a lot to say about this. We know how effective psychics are – they simply can’t do it. We haven’t only just discovered that Sylvia Browne was wrong – she was wrong to say that Amanda was dead, regardless of whether Amanda was in fact dead, because she didn’t know. She had no way of knowing. Browne’s attempt to describe Amanda’s condition is no more disgraceful given what we know now than it was at the time. If Amanda had turned up dead, then Browne would still be guilty of talking about incredibly sensitive issues she had no knowledge about – she would simply have got lucky with the facts. She might have imparted true beliefs, but not justified true beliefs. The fact that she didn’t accidentally strike truth is, in my view, of no consequence to how we view her treatment of anguished families. 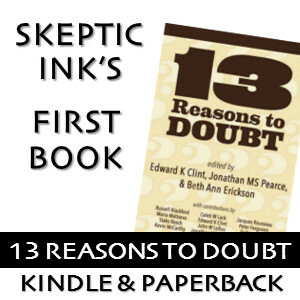 I was recently prompted to think again about the meaning of ‘scientific’ skepticism after reading Daniel Loxton’s recent article about skepticism and atheism (also see fellow SINner Russell Blackford’s discussion). I have a slight confession to make – although I’ve been a fan of the work of skeptics, and have read books and articles on the subject, I still don’t really understand exactly what we’re talking about when we talk about ‘skepticism’. I feel a bit bad asking this, since I like Derren Brown. But is there a touch of the ‘Uri Geller’ about him?